Who here still plays Minecraft? I do pick it up from time to time to check on my world, say hi to my puppy and pet chicken, Mr. Cluckers. From time to time. Made such an impact on me. Wish I could go back in time and play it for the first time. Those feelings were amazing. ^ I would hope that isn't true! I'm not sure though. So I did research. You can still download any Minecraft skins you want and upload them for free at any skin resource, such as the ones linked below. You can still play on any server for free. If your friends know how to set up a server, you can still do it all for free. Nothing has changed except new content. Nothing I have noticed has changed on Minecraft. Same game, new features, updated launcher. No asking for money. I've felt the updates have been less frequent. No extra charges I am aware of. I played as recent as last week. Yes. Mojang still does all the work. Microsoft covers advertising and will probably dictate when they need updates. For the most part, Mojang still is autonomous. But I am sure the mass marketing of Minecraft is all Microsoft's doing and all the spin-off games by Telltale. Ok, cool ^^ it probably works better that way anyways. x3 has anyone played the story mode telltale games? I've heard that the story is interesting, but I have never gotten a chance to play them myself. I've never played the story mode games, but I've heard they are good. They aren't anything like Minecraft though. I played Minecraft again the other day.... it was so refreshing. It was like playing it for the first time. I loved it. 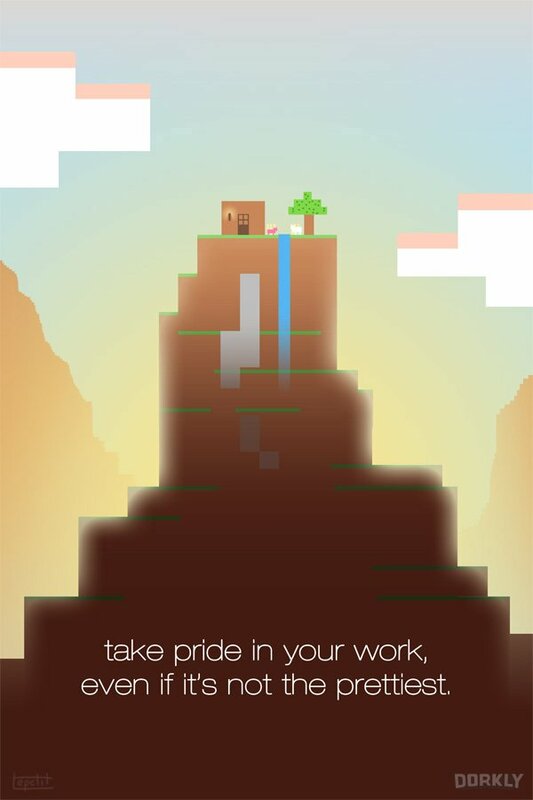 Saw this poster and wanted to share it with the Minecraft community here. UPDATE AQUATIC HAS BEEN RELEASED!!! !